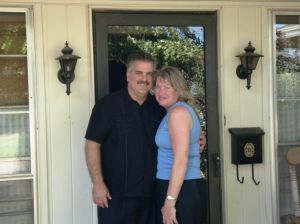 FMIN Partner, Karen Urbank announced her engagement to Emmett Faircloth, whom she met on a mission trip to Cuba in June. Emmett does ministry similar to Karen: he owns his own business which allows him the freedom to be able to go and minister and yet have a base income. The couple will be married Dec 8th and will be based out of Texas. Ellene Meece assists with the Network, including writing assignments on occasion. You are both a blessing! See you both in Texas. PAR_TEH!!!! Nice Job Karen and Emmett, see you in December. Hootey hoo! We are so excited for you, Karen!